LOS ANGELES—A recent study found a link between sugary beverages consumed during adolescence and memory problems in rats. 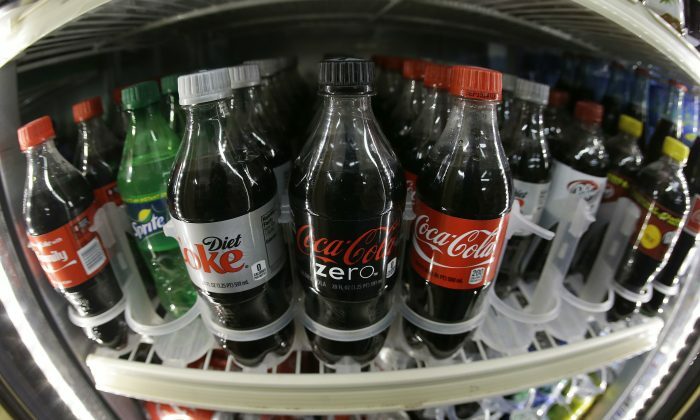 Researchers at the University of Southern California (USC) gave a total of 76 adolescent and adult rats free access to a sugary beverage with either plain sugar or high fructose corn syrup (HFCS). Both of the groups were given regular water and food, and third control group was given only food and water. After about 30 days of unrestricted access to the sugary beverage, which is the length of the entire adolescent period of a rat, the animals’ spatial memory was tested by placing them in a maze. In order to avoid an unpleasantly bright light and white noise, they had to find the exit and remember how to get to that exit the next time. “The animals that had consumed the sugary beverages during the adolescent period of development had a harder time learning where that location was, and later when we tested them after they’d learned it, they had a harder time remembering where it had previously been,” said Scott Kanoski, Ph.D., one of the authors of the study and assistant professor of biological sciences at USC. HFCS seemed to have an even greater impact than regular sugar. “In adolescent rats, HFCS-55 intake impaired hippocampal-dependent spatial learning and memory in a Barne’s maze, with moderate learning impairment also observed for the sucrose [sugar] group,” the study concluded. Kanoski said the study didn’t conclude that HFCS was worse overall as the results fell within the margin of error. What the study was able to conclude was that the sugar only affected the adolescent rats’ memory—the adults that consumed the sugar did not show any negative effects. Kanoski said it could be because the study was too short. The sugary solution the rats were given had 11 percent sugar content, similar to the ratio of water to sugar in many sodas. For example, a 12-ounce can of Coca-Cola is 11.5 percent sugar. While the study has not been done on humans, the rats could be a more extreme example of what happens in children. About 35 to 40 percent of the calories the rats consumed were from sugar or HFCS. American children and adolescents on average eat about 16 percent of their calrories from added sugars, according to a study done by Center for Disease Control and Prevention (CDC) between 2005 and 2010. Kanoski says the study suggests that adolescence is a particularly sensitive period of development for the negative impacts of sugar. He and his team are now planning to test how different kinds of simple sugars and HFCS affect the brain. Getting healthy is not always an easy task. Eliminating toxins and focusing on nourishment are the two most important steps, along with appropriate exercise and mindset. Could you imagine if tomorrow you started to became withdrawn, unable to face others, incapable of making that journey to work. Mental Illness Awareness Week: What Can Parents Do About Their Teenagers’ Mental Health?